Story tellers drive the culture and Christians must remember that we have the best story to tell. Megan Almon is a speaker with Life Training Institute and a Christian Research Journal contributor who authored the recent cover article Seeing Red: The Handmaid’s Tale, Human Dignity and Hope, addressing the popular, yet controversial, Hulu television series The Handmaid’s Tale, an adaptation of Margaret Atwood’s 1985 dystopian novel by the same name. 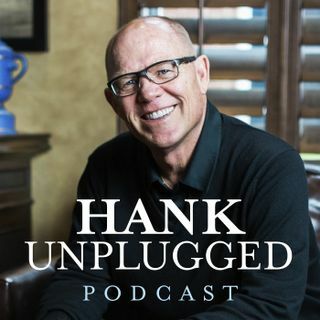 Almon joins Hank to discuss the importance of ... See More cultural apologetics, pro-life apologetics and the consequences of secular feminism, abortion and sexual freedom in both The Handmaid’s Tale and our world today. Topics discussed include: Michelle Wolf’s salute to abortion- “God bless abortion, God bless America” (4:25); Almon’s passion for pro-life apologetics (7:05); is the term “pro-life” propaganda? (8:40); what would make abortion ok? (9:50); how abortion has shifted from being a scientific debate to a philosophical debate (11:10); the importance of Christians being able to communicate the pro-life position articulately and convincingly because story tellers drive the culture (14:05); examining worldviews and the importance of cultural apologetics (16:25); the narrative presented in The Handmaid’s Tale that women will lose all of the progress gained through the suffrage movement if they lose access to abortion and “reproductive freedom” (20:55); a women’s worth being equated to her ability to earn wages (23:45); the rise of infertility and changing views of motherhood (26:05); surrogacy and the commodification of children (29:30); the destructive consequences of the sexual revolution and idolization of sexual freedom (35:50); defining men and women out of existence and the effect on women’s rights (38:30); the criticality of becoming biblically literate to counter the twisting of scripture, or “scriptorture” (40:30); embracing the doctrine of unity through unification around the essentials of the Christian faith in the face of the unnecessary fragmentation within Christianity (42:50); endowed with dignity by virtue of being created in the Imago Dei (46:30); the false narrative that the Bible supports an oppressive patriarchal society versus the reality that the Bible actually elevated the status of women (47:45); contrasting the way that Jesus and Muhammed treated women (53:00); Planned Parenthood’s desire to abolish the terms pro-choice and pro-life (54:30); The Handmaid’s Tale explained (55:45); the need for Christians to practice cultural apologetics and discernment (58:05); becoming so familiar with the truth that when a counterfeit looms on the horizon you know it immediately (1:00:50); the functional value of secular feminism, abortion on demand and sexual freedom (1:02:30); Christian involvement in the culture wars and examples of hope (1:04:15); raising Christian children (1:08:05).